Ever fallen victim to the niggling self doubt that comes from seeing other people’s lifestyles on social media? If the answer is yes, then you’re no stranger to FOMO, or the fear of missing out. And you’re not alone. According to a recent poll by event ticketing site Eventbrite, 69% of the population admit to feeling a sense of social paranoia when they suspect that fun is being had elsewhere. It's a phenomenon that hits the young quite hard, according to the study, and especially if they're members of the “millennial” generation – those born between 1980 and 2000. For this demographic more than any other, social media and consumer behaviour go hand in hand. Where previous generations saved up to purchase their first car or the deposit on a house, more than three-quarters of today’s 18-34 year olds are spurning material possessions in favour of real-life events and experiences, the study finds. According to 78% of the young people polled, “when it comes to money, experiences trump things”. Their priorities are reflected in real-world data: ticket sales for concerts, festivals and sporting events have quadrupled since 2011. 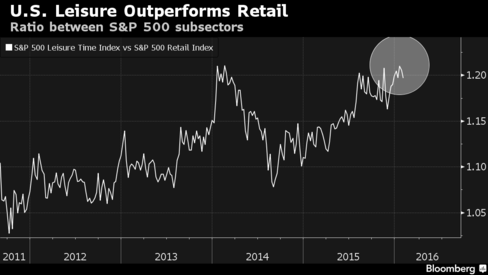 In the stock market, leisure-related stocks have outperformed traditional retailers, with stocks in travel and events in the United States showing a steady upswing in popularity over the past four years. Fifty-five percent of young people say they spend more on events than ever before, and 72% say they’d like to increase their spending over the next year. 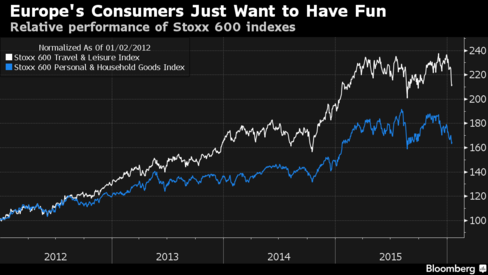 This trend is not unique to America: across the Atlantic, too, leisure stocks are outperforming sales of personal and household items. 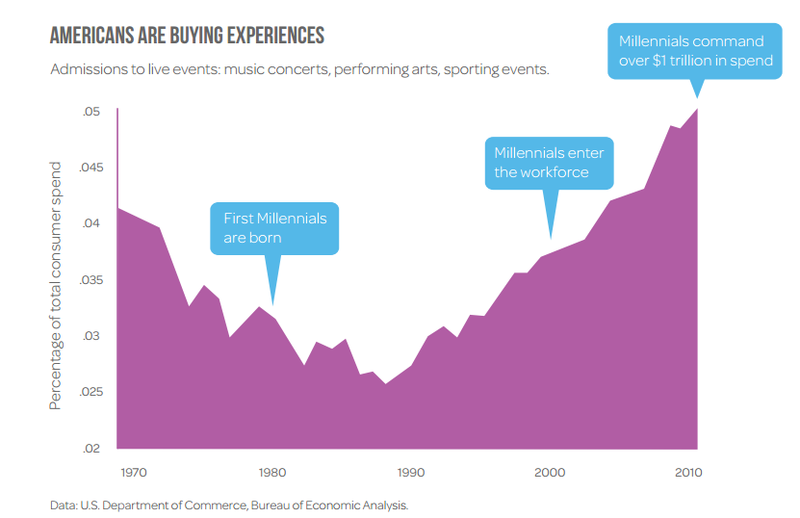 Millennials now account for over one-quarter of the US population, as well as about $1.3 trillion in annual consumer spending in the US. They are the largest generation in US history, and their numbers and sheer spending power place them at the vanguard of an entirely new consumer culture. These millennial values haven't gone unnoticed by marketers. After all, it's only too easy to sell real-life experiences to digitally connected individuals who have been left feeling inadequate by what they see on social media. STA Travel is one of the companies tapping into this social angst, with their offer to banish FOMO with a spot of holiday planning. Meanwhile, an Australian entertainment website has created a YouTube clip inviting people to "cure your FOMO with Citysearch". "For millennials, FOMO is not just a cultural phenomenon, it's an epidemic," the Eventbrite report reads, indicating that what it calls the "experience economy" is here to stay. So when 69% of those polled believe that attending live events and experiences makes them more connected to other people and the world, perhaps it's the rest of us who should wonder what we're missing out on.